Well fellow growers, the smoke has literally settled after cannabis legalization day, forever etching October 17th as a monumental date in Canadian history. Canada is the second country in the world to legalize recreational cannabis, following only Uruguay in its liberal acceptance of this controversial plant. For us Canadians, legalization has been years in the making. The day saw numerous reports of exciting historical moments, such as the first legal recreational cannabis sale at midnight in St. John’s, to the opening of the first cannabis outlets across the country. Legalization flooded social media and news avenues, trending across the country with tags such as #cannabislegalization and #legalizationday. Needless to say, many Canadians are excited! We have been dreaming of this day, waiting for the stigma and fear to give way to acceptance and a desire to know more. But what does recreational cannabis legalization mean for growers in Canada? For those in the cannabis production industry, there has been a lot of uncertainty. As the country and the world wait to see what effect legalization has on a first-world country, let’s take a look at the new cannabis legislation and how it relates to growers. Here we also compare this events’ historic likeness to the end of alcohol prohibition, and offer BlueSky Organics as the best growing option for those in the cannabis industry today. Though the new legislation for recreational cannabis has officially been passed, the production and distribution for many in the industry is still sitting in limbo. Most private retailers have been asked to shut down their businesses as licenses sit pending, and many items are labelled “out of stock” as distribution is also hindered by licensing. In comparison to significantly smaller provinces such as Newfoundland and Labrador with 24 stores, B.C. 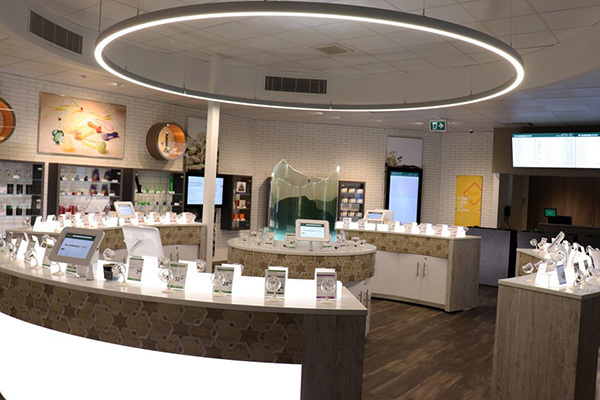 has only one store location licensed to sell recreational cannabis, the BC Cannabis Store in Kamloops (and online). Though this progressive leap currently feels more like a slow-motion rendering, BC government officials are confident that additional stores will be opening soon. We are in the midst of a paradigm shift, and though it is inspiring to be able to see such a big change in our lifetime, it will most likely be many, many years before all of the details are fleshed out. 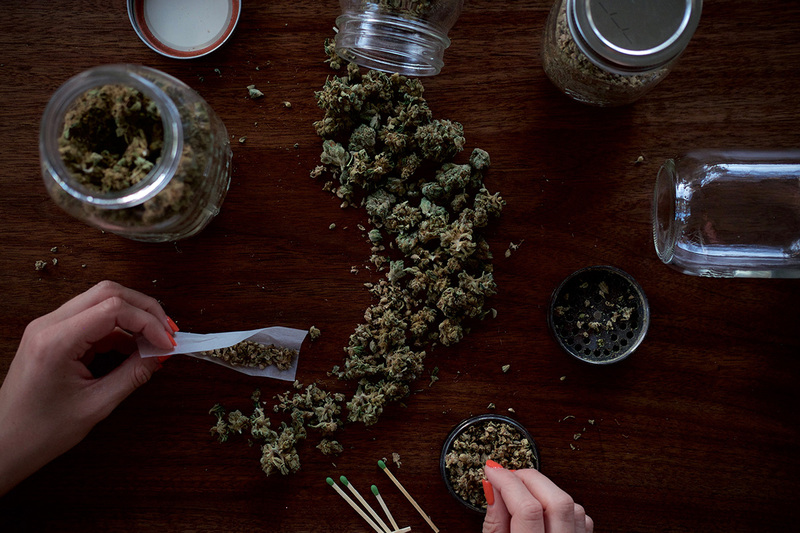 Some would say that relating cannabis to a “scientific truth” is a bit drastic, but the truth here is that there is still so much we don’t know about cannabis, and that researching its healing properties has been stunted by its criminalization. By taking away the shame and paranoia associated with this plant, we give it a chance to offer a natural remedy in a sea of artificial fixes. Cannabis can only be legally purchased at government-run stores, licensed private retailers, and the BC Cannabis Store online. Adults can carry up to 30 grams of dried non-medical cannabis, or its equivalent, in a public place. The maximum amount for possession in a non-public place (such as your home) is 1000g dry-weight per household. Adults can grow up to four non-medical cannabis plants per household (subject to landlord/strata approval). These plants cannot be grown in a space that is visible from a public place, like a sidewalk or school ground. Adults can generally smoke or vape cannabis in public spaces where tobacco smoking and vaping are allowed (mindfulness on surroundings is encouraged). There is a list of exceptions to this rule, such as playgrounds, patios, and bus stops. It’s illegal for both driver and passenger(s) to consume non-medical cannabis in a car (both parked or moving). Exceptions to this rule include campers and motorhomes (as well as boats of this nature) when parked at a site or being used as a stationary residence. For those who don’t abide, there will be a 90-day Administrative Driving Prohibition (ADP) for drivers whom police reasonably believe operated a vehicle while under the influence. Cannabis can be transported in a vehicle as long as it’s in its original, unopened packaging, or is inaccessible to the driver and occupants (for example, in the trunk). In addition, a maximum of four non-medical cannabis plants can be transported in a vehicle, but they cannot be budding or flowering. It’s illegal to transport cannabis across the Canadian border, into or out of the country. It’s illegal to purchase cannabis edible products and concentrates at the present, but you can make cannabis food and beverage products at home. Edible products and concentrates for purchase will tentatively be available next year, with the delay due to health and safety regulations that must first be set in place. 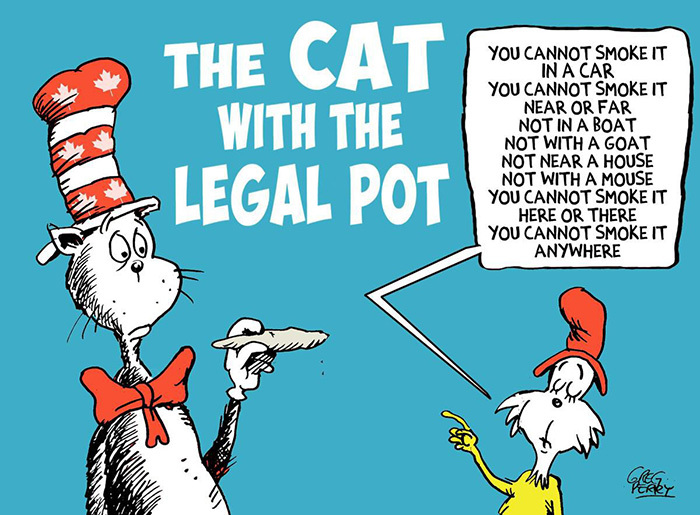 As this “Cat in the Hat” cartoon by Greg Perry so cheekily alludes to, the rules against cannabis-use seem abundant. This is a point of frustration for many, but it is here that we must take a step back and look at the bigger picture. The legalization of recreational Cannabis is still a shift in the right direction for the industry. 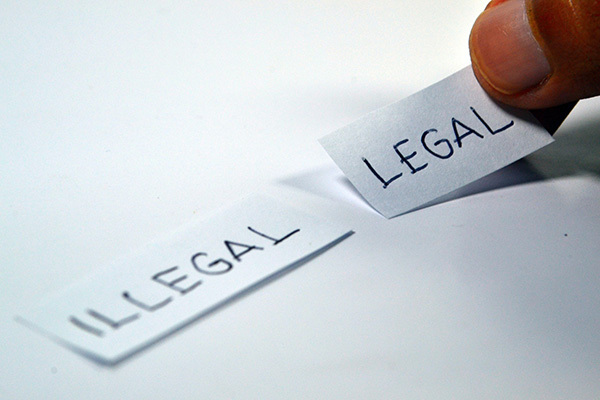 Reading this you may be thinking- what’s the point of growing small-batch cannabis if large, well-established organizations have the selling advantage in the new legislation. This is a valid fear for any small business, and certainly isn’t the first time in history we have seen a monopoly after legalization. 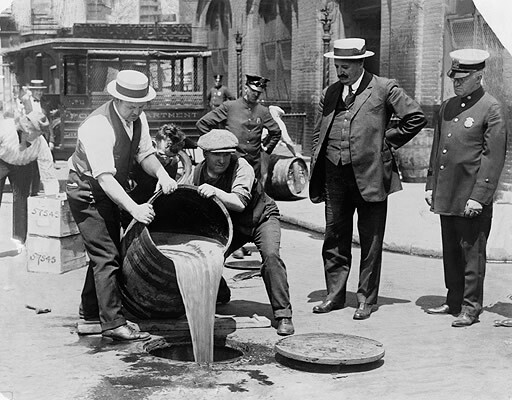 Let’s take a look back at alcohol prohibition and how the craft market gained support. It wasn’t that long ago that both caffeine and alcohol were considered to be corrupting agents that were detrimental to society. Fears of social decline and attacks on health and morality led to the prohibition of alcohol in the early 1900’s, banning the buying, selling, and manufacturing of all liquor. One aspect of prohibition that we can relate to cannabis is its reach and provincial specificity. In Canada, every province had its own opinion and rules for prohibition through the Canada Temperance Act, and each province was responsible for its abolition. Both cannabis and alcohol have been illegal at some point in history, but behind closed doors their use still prevailed. Minorities suffered during these periods of abstinence, and large amounts of resources were spent trying to control the organized crime that followed. The ending of alcohol prohibition, the cultural acceptance of caffeine, and the recent legalization of cannabis all have one thing in common: they are providing a safe place for mind-altering substances in our society. Legalization supports that there is a time and place for safe drug use, while still outlining circumstances where they remain illegal (caffeine in its concentrated form, for example). Though cannabis is considered less dangerous than alcohol and caffeine, there are certainly some hands that should not reach for it – such as a child with a developing brain. There is still much research to be done, and it is only through decriminalization and removal of bias that we allow science to provide us with a greater understanding. At the end of alcohol prohibition, all provinces had switched over to a government-controlled system, much like we are currently seeing with cannabis legalization in BC. Government control is important as safety procedures and quality controls are established, but many fear that this systematic approach will hurt the smaller, independent cannabis producers. In regards to the return of small-batch and microbreweries following alcohol prohibition, it is the consumer that can be thanked for the demand. Whether it be organic, sustainable choices or unique, tailored strains from local growers, there is a definitive place in the cannabis market for small-scale producers. The new micro-cultivation class license is a chance for small-scale producers to contribute to the legal industry, while avoiding some of the heavier costs associated with mass-production licensing. The next step in legalization progression is a farmer’s market mentality, where supplier and consumer can have a face-to-face business relationship. Our dream for cannabis is the same farm-to-table form of consumption that is finally gaining ground in the organic food market. Our dream is a cannabis industry where sustainable agriculture AND quality products are equally demanded. Whether you are recreationally growing for yourself, or fall under the micro-cultivation or standard cultivation license class, growing organically is your best option, hands-down. In our current system, Health Canada makes the decisions on who can grow cannabis commercially for recreational use, who can sell for medical purposes, and also who can conduct tests and research with cannabis. If you are going to do anything with your cannabis other than use it personally, it must be grown with practices that ensure product safety and high quality. Within the first few weeks of legalization, we are seeing an unprecedented demand for legal cannabis, that is failing to be met across the country. Many shelves currently sit empty, as cannabis suppliers wade through the application process for cultivation and sales. Suppliers are stating that the process is tedious, as two full crops must be sent in for testing within the sales license application. This testing includes analytical testing for chemical residues (including certain pesticides from improper pest management) and microbial contaminants from pathogenic microbial interactions. If proper growth practices have not been followed, the test results could mean product recalls and lost revenue. Though BlueSky can’t take on or expedite this application process for you (we wish we could! ), we can offer a growth system specifically formulated for producing high-quality, organic cannabis. 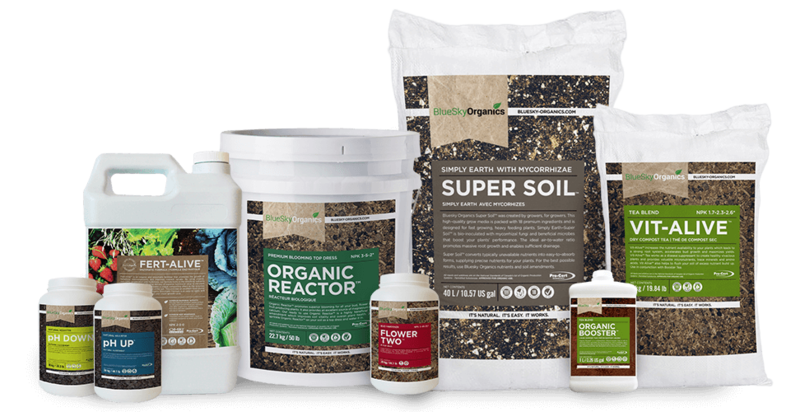 Utilizing organic soil amendments and sustainable growing practices is your safeguard for a product that you can trust. The Cannabis industry’s best plant nutrients and amendments created using only premium, organic inputs. For those of you who are growing solely for personal use, you can rest assured that Health Canada will not be showing up at your doorstep demanding quality cannabis. But regardless of what is required of you, why not use growing practices that result in a safe and quality product for your own use? In “Soil Remediation with Cannabis” we talk about cannabis’ ability to draw up toxins from the soil into the plant itself. The saying “you are what you eat” certainly holds true for cannabis plants, so why not nourish your plants with the right nutrients? As we enter a new age of cannabis growing, let us maintain the standards and sustainable methods that hold true for the organic industry. Let us grow plants in a way that makes our world a better place, and protects the soil that sustains us.